KATHMANDU, Jan 4: As the extended terms of two transitional justice mechanisms are expiring next month even without accomplishing a small portion of their mandated tasks, the government has started necessary preparations to further extend their terms for a year through an ordinance. Minister for Law, Justice and Parliamentary Affairs Yagya Bahadur Thapa said preparations are underway to introduce an ordinance to extend the terms of Truth and Reconciliation Commission (TRC) and Commission for the Investigation of Enforced Disappeared Persons (CIEDP). "There have been demands to extend their terms for two years. 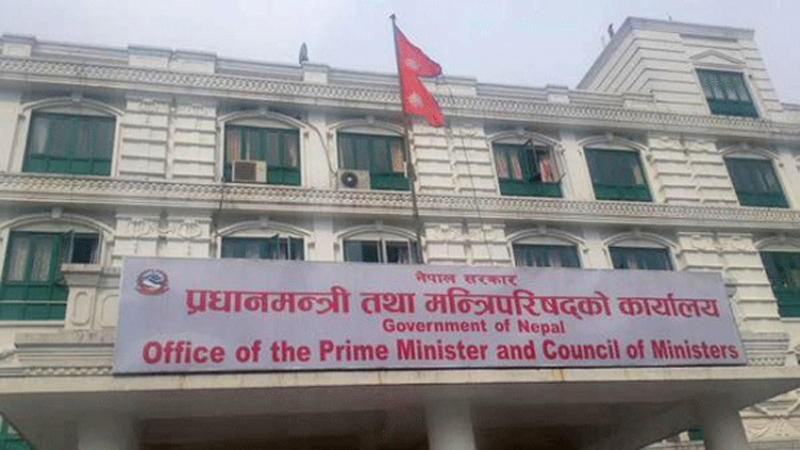 I am personally in favor of extending their terms for a year," Minister Thapa said. The government had last extended the terms of these two transitional justice mechanisms for a year on February 9, 2017 after their original two-year terms expired without even commencing their mandated tasks. "We are preparing to extend the terms of both the mechanisms soon," the minister further said. The TRC and CIEDP have received over 60,000 and about 3,000 complaints, respectively. Given that the TRC has not been able to settle even 7,000 complaints and CIEDP still struggling to complete investigation into a few hundred cases so far, it clearly looks difficult for the transitional justice mechanisms to investigate into all the complaints and provide justice to the victim parties within the February 9 deadline. Earlier, the TRC had established liaison offices in each seven provinces and assigned each office to settle 1,000 complaints. Let alone completing investigation into all the complaints received, the body is struggling to conclude investigation into a few thousand cases. Similarly, the pace of works at CIEDP has been equally slower. The body recently forwarded over 400 complaints it started inquiring to TRC for further investigation as it could not ascertain the persons allegedly missing at the hands of both the state and then rebel party were either 'disappeared' or 'killed'. The TRC has deputed an investigation team led by a government attorney in each province. The team comprises of a lawyer recommended by Nepal Bar Association and a human rights activist working in the field of transitional justice. Officials said none of these offices have been able to investigate into the cases given to them so far due to various difficulties. "There are various practical difficulties to conclude the investigation process early. Obviously, it takes time to assess the loss, call victim parties for investigation and make field visit in rural districts. We may also need to summon perpetrators for their statements," said a TRC member Madhavi Bhatt. Although the government is preparing to extend the terms of both the bodies, conflict victims expressed disappointment over the inordinate delay to provide justice to them. "We have almost given our hope that we would eventually get justice. There is no point in extending the terms if these bodies do not work sincerely to provide justice to conflict victims and redress their wounds," said President of Conflict Victims Common Platform, Suman Adhikari.